Please note: The ring in the photos is sold. 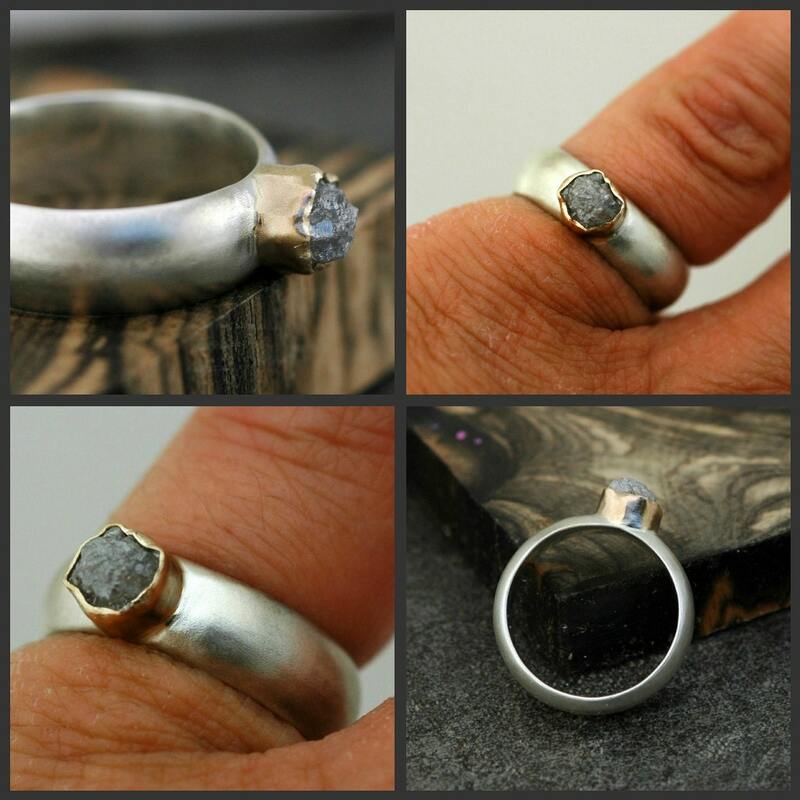 I have used the pictures to show you how these rings appear when they are made. Yours will be built to order, using the diamond of your choice. These are my Size C diamonds, at between 5-6mm. 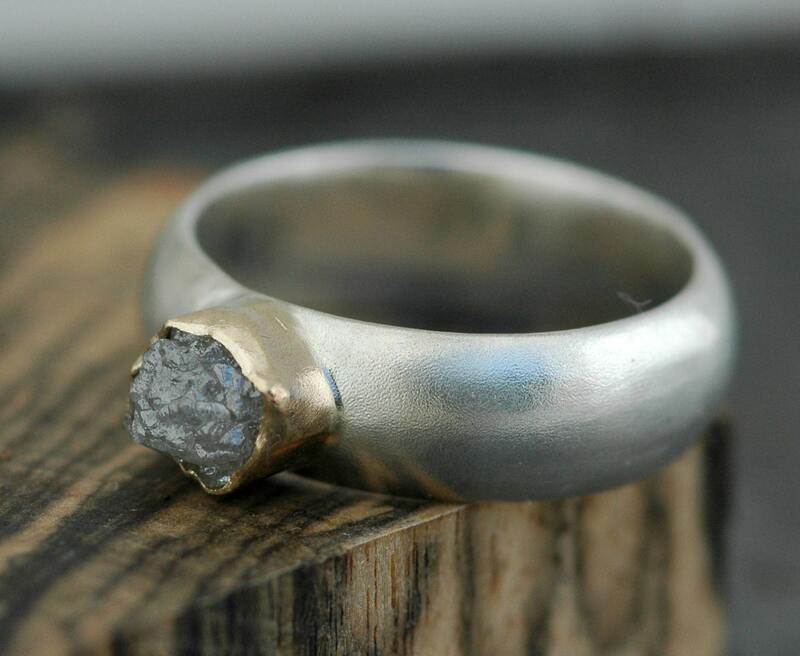 The ring band on this one is a stately, 6mm half-round stock. It has great substance, and makes for a large, subtle statement. This band looks good on a larger or smaller hand. The bezel is built from 14k yellow gold. 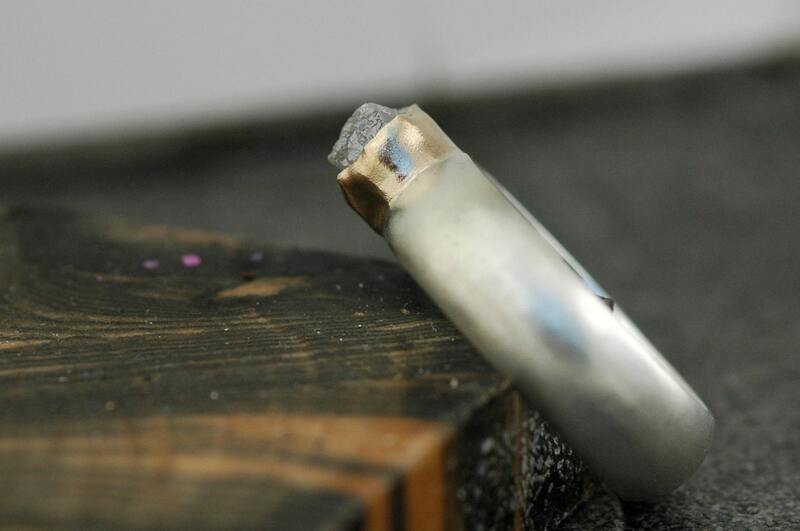 In these photos, the ring has been given a brushed finish. 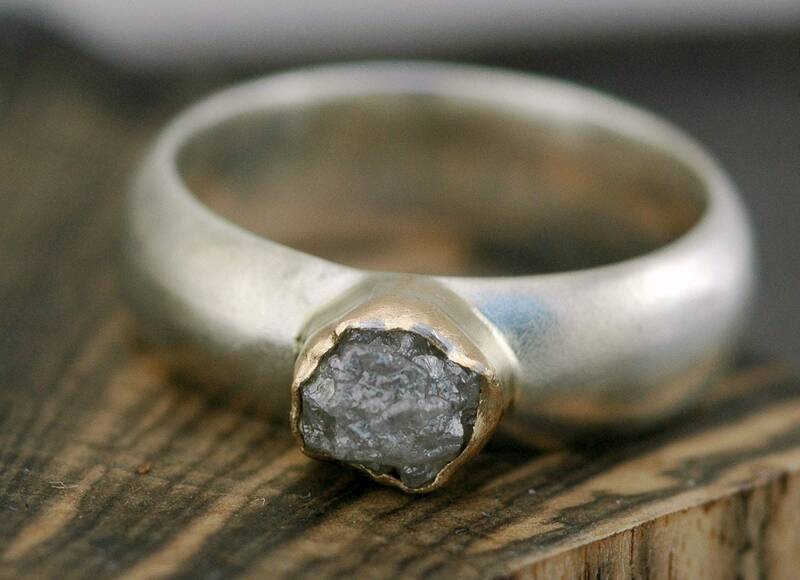 I can also make this ring high-shine polish or a hammered finish. As this is a custom, made-to-order piece, please see my shop annoucement for my current lead time. Rose Gold: I can make this ring with a 14k rose gold bezel.